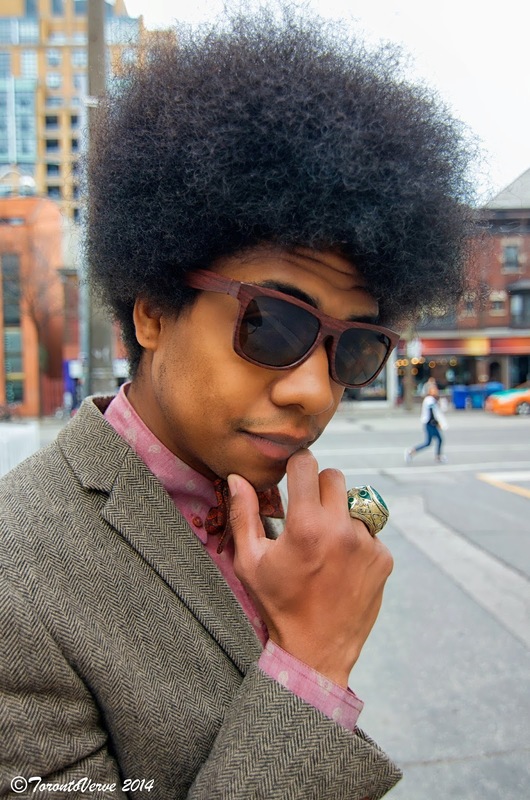 Hasan: "My style is the Great Gatsby meets Marcus Garvey. I strongly believe in clean living under difficult circumstances that's why I like Gatsby and I like Garvey because he's a revolutionary who plays a really central role in my life. I just fuse the two into my fashion. I love bow ties -- I love looking dapper -- I love making a statement." TorontoVerve: "What's your biggest fear in life?" Hasan: "My biggest fear is to fear -- if that makes any sense. I suffer with anxiety so I train myself not to be afraid of things in life. Fear is the mind killer." 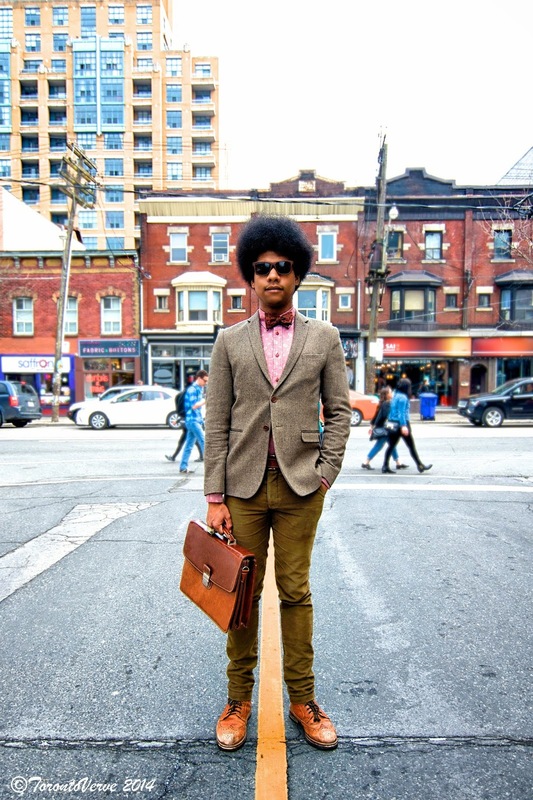 Hasan works at Queen Street West's Ben Sherman Menswear store and runs a men's fashion blog called The Aesthetic Tourist. "Everything I love goes on it. It's my baby."